The terrace on the top deck has glorious views over the ocean, along with lots of space to relax with hammocks, sofas and mattresses. 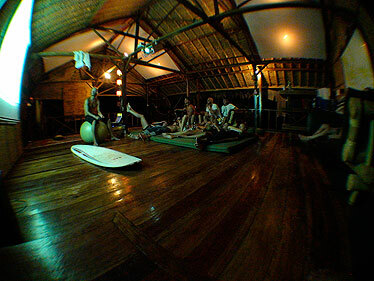 It is also connected to our unique treehouse, and is equipped with a projector for showing movies and for surf theory classes. It has a selection of board games, musical instruments, books etc..